Morcheeba, possibly the most groove orientated act that defined a generation. The distinct mix of Skye Edwards' fluid vocals and laid-back mix of fusion, funk and blues created a trip hop band with a difference, pioneering a whole new wave of music. Skye, with brothers Paul and Ross Godfrey, created a body of work that feels as relevant and fresh as it ever did, even after nearly 20 years, eight studio albums and seven million album sales. For one night only the band will take to the stage to play their greatest hits at London’s Shepherds Bush Empire on Friday 28 November. 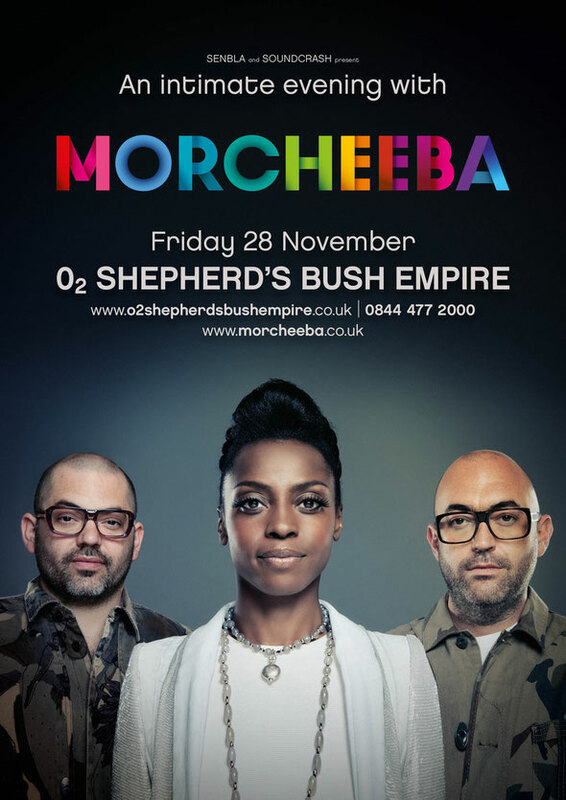 Morcheeba will perform tracks from across their career including ‘The Sea’, ‘Otherwise’, ‘Rome Wasn't Built In A Day’, ‘Undress Me Now’, ‘World Looking In’ and ‘Blindfold’. The show, both electronic and acoustic, plugged and unplugged should remind you why Morcheeba are one of the defining acts of a generation. Skye Edwards: "I absolutely love playing in London and I’m excited to be back at Shepherds Bush. We’ll be performing some of our classic songs as well as few that we’ve not played for many years, in a plugged and unplugged setting, which will bring an intimate vibe to the show."